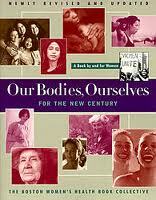 Our Bodies, Ourselves for the New Century reflects the vital health concerns of women of diverse ages, ethnic and racial backgrounds, and sexual orientations. In these pages, women will find new information, resources (including web sites), and personal support for the decisions that will shape their health-and their lives-from living a healthy life, to relationships and sexuality, to child-bearing, growing, older, dealing with the medical system, and organizing for change. This is a book for women of all generations to use, to rely on, and to share with others.